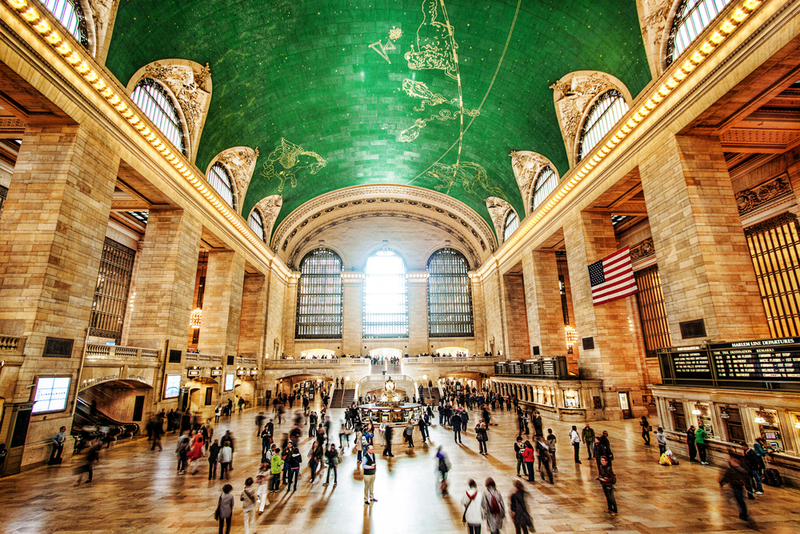 In New York City, where buying and selling real estate is a high-stakes endeavor, the topic of historic and landmark designation is frequently raised. There are heated discussions on the subject of listing neighborhoods or buildings on the State and National Register of Historic Places or having them designated by the city’s Landmarks Preservation Commission. It’s important to know what those organizations do and the distinctions between them. You could even be eligible for significant financial aid for your renovations if you own property in an historic district. Administered by the National Park Service, the National Register of Historic Places was created in 1966 as the official federal list of districts, sites, buildings, structures, and objects significant in American history, architecture, archeology, engineering, and culture. The State and National Preservation Commissions both recognize buildings and areas as having historic merit. This designation is considered largely honorific and does not create mandatory historic districts where no buildings can be altered. Property owners can still do what they want to their property within these districts. But there are benefits available in the form of significant financial incentives like tax credits and grants for preservation of these properties for homeowners as well as businesses. The incentives have been used to help turn old factories into residential buildings, for example, as well as in revitalizing historic downtowns. 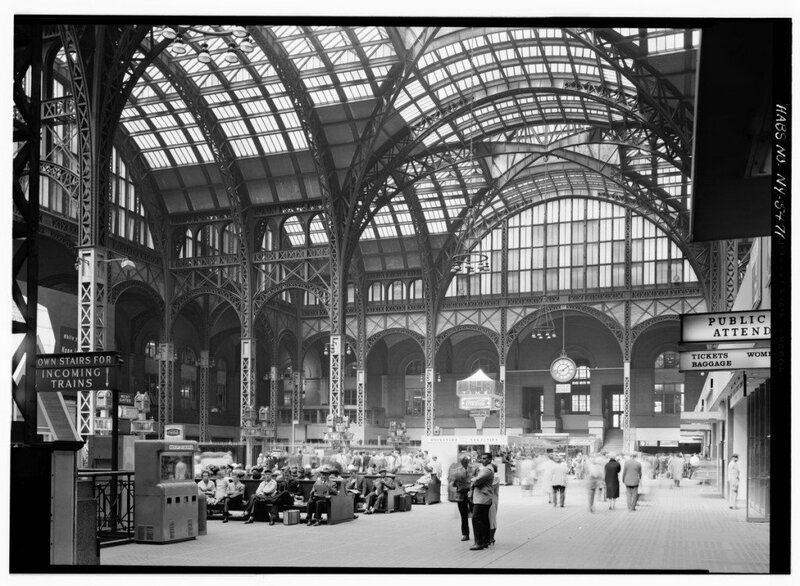 The much-protested demolition of New York City’s Pennsylvania Station in 1963 is often given credit for the 1965 creation of the New York City Landmarks Law. The law was designed to protect historic sites and buildings from being demolished or altered in a way that fundamentally changes their character. The Landmarks Preservation Commission is authorized to designate landmarks. Though individual buildings are landmarked less often than historic districts, individual landmarks get some special considerations within NYC Zoning Code in order to help facilitate their preservation. Air rights, for example, can be transferred across a street as-of-right; they can receive exemptions from zoning restrictions regarding allowable uses and height and setback requirements if it can be shown that the exemptions would help preserve the landmark; there is also a hardship relief provision for owners unable to maintain their properties for to economic reasons. This form of landmark protections may create an additional level of effort for property owners and developers who want to work with structures the city wants to protect; there are regulations that cover what you can build and how, where, and how big you can build it. There are also regulations that apply to alterations made to the exterior of an already-existing structure. And your costs might be higher due to materials and construction that has to meet meet commission requirements. But research has shown that the returns in terms of property value and neighborhood desirability more than offset this effort. A GVSHP rally against the NYU 2031 plan, images courtesy of GVSHP. Neighborhood organizations often push for landmarking efforts if they feel the essence of their neighborhood may be compromised by overdevelopment; landmarking efforts sometimes involve a particular building that has strong historic and cultural associations for the neighborhood and the city. A recent example of this is the second phase of the South Village Historic District, designated at the end of 2013, which prevented a 300-foot-tall dorm from being built on Washington Square South. The district has since (December 2016) been expanded to include another ten blocks, or 160 buildings, bringing the total number of buildings landmarked in neighborhood since 2003 to 1,250. 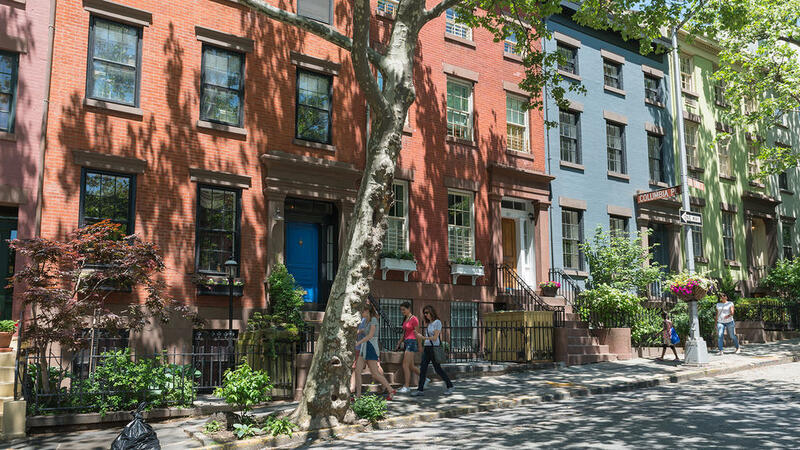 Brooklyn Heights was the first designated historic district in New York City; the neighborhood was named a National Historic Landmark designated a New York City Landmark in 1965 and added to the National Register of Historic Places in 1966. 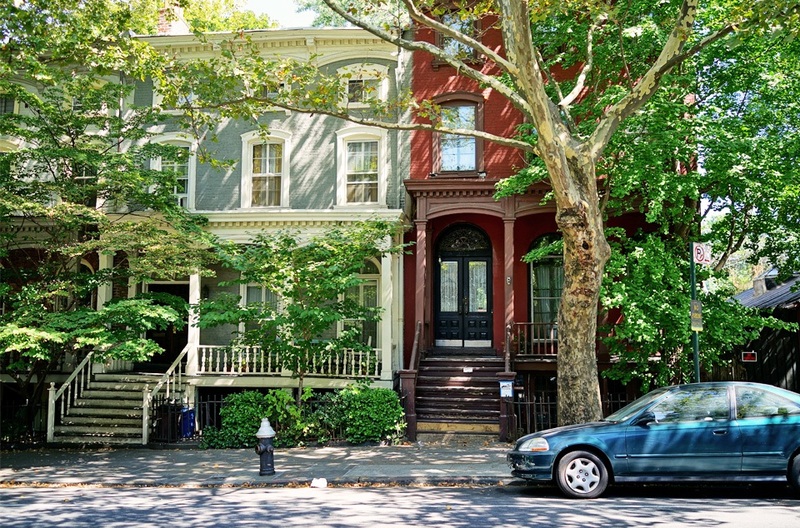 Large portions of New York City’s many neighborhoods have since been designated as historic districts. The Upper West Side of Manhattan, for example, is home to at least four large LPC-designated historic districts. 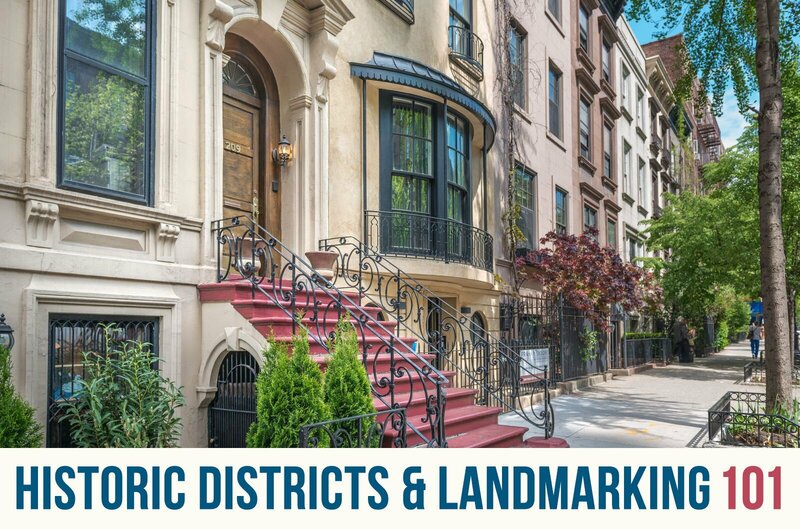 Large sections of Park Slope, Carroll Gardens, Fort Greene and Clinton Hill, among many others, are also historic districts. You can find a map of the city’s historic districts here. Wallabout Historic District. Image: Wikimedia Commons. Some of the city’s most recently-designated historic districts include the East 10th Street Historic District and the East Village Lower East Side Historic District (both in 2012) in Manhattan; and the Park Place Historic District (2012), the Wallabout Historic District (2011) and the Borough Hall Skyscraper Historic District (2011) in Brooklyn. Are all districts and buildings that are state and federal landmarks city landmarks as well and vice versa? No. The organizations operate separately, though there is a lot of overlap, especially with regards to neighborhoods. You can check here to find information on city landmarks and here to find state and national historic registers. What are the criteria for landmarking districts or individual buildings? For federal and state register listing, they are evaluated based on age (generally, historically designated buildings must be more than 50 years old, with some exceptions) integrity, and significance. The youngest building to ever receive designation is the former Citicorp Center in Midtown. The skyscraper was constructed between 1973 and 1978 and was landmaked this year. Does landmarking mean no modern buildings can be built in the district? No, not necessarily. Though the LPC is concerned with the historic integrity of neighborhoods and buildings, modern buildings can be approved if they meet standards that are perceived as aesthetically compatible with the neighborhood, for example. 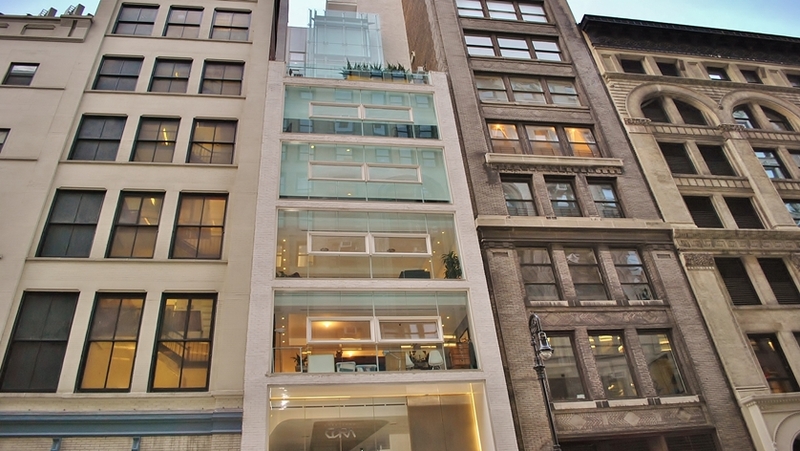 Some examples of this are 3 West 13th Street by Avi Oster Studio, and the Norman Foster-designed Hearst Tower. 3 West 13th Street courtesy of Park Property Advisors. How is landmarking a district good for property values? Historic designation or landmarking helps to preserve the character of buildings, and neighborhoods. More practically, landmarked districts have been shown to offer higher property values, insulation from extreme economic fluctuations that affect developers in non-landmarked zones, stabilization of residence, more community involvement and increased connections among neighbors. The New York City Independent Budget office provides data that point to these tendencies, but they aren’t unique to NYC. A study by the City of Tucson Department of Urban Planning and Design also finds that historic district designations lead to higher property values and rates of appreciation in a number of U.S. cities. The less quantifiable side: It may actually be a good thing that someone is overseeing the character of a neighborhood and what is planned for the properties within it—as a property owner or developer, you aren’t just at the mercy of the market, i.e. whatever anyone else wants to build next door. Does landmarking affect how property may be used? Neither landmark designation nor historic register listing dictate how property is to be used; historic designation has nothing to do with property zoning. The only exceptions to this are cases in which zoning regulations are waived to allow property owners to preserve their buildings. Why are some people opposed to the designation of historic districts? Opposition to historic designation of districts sometimes comes from real estate developers, based on the idea is that it will subject them to costly and prohibitive regulation. The further argument is that this restricts development, therefore limiting available housing, especially affordable housing, which must be built in a budget-conscious manner. City landmarking does come with regulation; in other words, a developer wouldn’t be able to tear down or add on to a house or building—or construct a new building—in an historic district without submitting and getting approval for detailed development plans. This can add additional effort and cost to development plans. The answer to that concern is that building in an aesthetically “considered” manner is good for business. It benefits all owners of property in the district, as it assures that the level of quality and care are upheld when there is new construction, conversion or renovation. Does landmarking make home ownership less affordable for individuals? This concern is based on the idea that homeowners will have to spend more on home upgrades in order to meet landmarks requirements. Within city landmarked districts, there are standards that apply to alterations to building exteriors in public view. In most cases, plans need to be submitted to LPC and approved. The LPC will work with property owners to make sure acceptable materials and aesthetic standards are used. Historically correct upgrades can cost more in some cases, but the idea is that these upgrades improve the quality of the home and therefore the value for the homeowner. Again, this is only a factor in New York City LPC designated districts. State and federal landmarking does not come with rules regarding building alterations. Can property owners be forced to restore their buildings? No. There are no regulatory imperatives to initiate renovations or update property within the historic district. In other words, LPC won’t force you to change or update your property to meet historic standards. Regulations only apply when there is planned construction or renovation. Can I get any kind of financial assistance for renovating or updating my historic home or commercial building? Yes! Though the state and federal designation does not come with any regulation on property alterations, you can get significant tax credits and other types of financial assistance if you are restoring them. 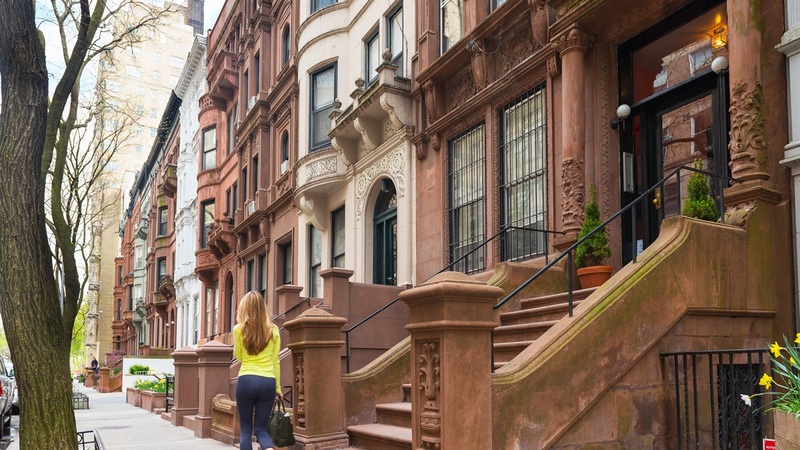 Renovating a home in an historic district, for example, can make you eligible for a New York State Homeowner Tax Credit. If you’re renovating income-generating property, you can get a 20 percent tax credit if your renovation meets these criteria. These benefits can be combined if your property meets both criteria (if you rent out a portion of a home you own, for example). Many people aren’t even aware that their property may be in a state or federal historic district. Check here or contact the State Historic Preservation Office to find out if you are eligible for any financial assistance for your historic property. The Historic Districts Council (HDC) is another great resource for finding out more about these and other benefits. In addition, there are other programs that provide financial assistance for historic preservation. The Landmark Preservation Commission’s Historic Preservation Grant Program provides funding between $10,000 and $20,000 for income-eligible owners of landmarked properties for proposed repair work or alterations. The New York Landmarks Conservancy is another organization that provides financial assistance for renovation of historic properties.